“No one’s ever really gone,” proclaims Luke Skywalker near the end of the new teaser trailer. One has to believe that returning director J.J. Abrams took some of the criticism of the new films to heart. After all, he started this thing, and then resolved to finish it. The trailer’s immediate voice over by Luke reminds and ensures fans that hey, look, things may not have gone as you thought they would, but Luke is still in the mix, he’s still “here”. Our heroes remain in our hearts, and new destinies await. Perhaps it is as much a whisper to the fans as it is to Rey herself. Though things change, there’s some comfort in that things all connect. This is further clarified as Rey is wielding his lightsaber, the one that Obi Wan handed to him, the one that his father wielded so long ago. One film alone does not define the saga. Regardless, it was a tremendous breath of fresh air to finally watch new footage; it felt as though we’ve taken the first small step past the dark times of fan lash back of the Last Jedi. Many have questioned the saga’s direction and future; some have debated whether or not Star Wars will survive Disney. But as with all stories, and our lives, change is the only thing constant, and things do indeed move on. After the opening scene, which displays Rey’s impressive physical skills as she leaps backward over a modified Kylo Ren Tie Fighter, we’re given a brief montage of shots, including the return of Lando Calrissian to the pilot’s chair of the Millennium Falcon, and a battle of speeders over some desert terrain. We see the new trilogies’ main players all together: Rey, Finn, and Poe, and there’s a sense of repair going on here, as though maybe a subtle hint that J.J. is again tasked with “fixing” wrongs in the fans eyes. Form instance, Kylo’s helmet appears to have been soldered back together (just as Anakin’s saber appears to have been reconstructed), as perhaps he discards Snoke’s view of him and desires to again emulate his legendary grandfather, Darth Vader. 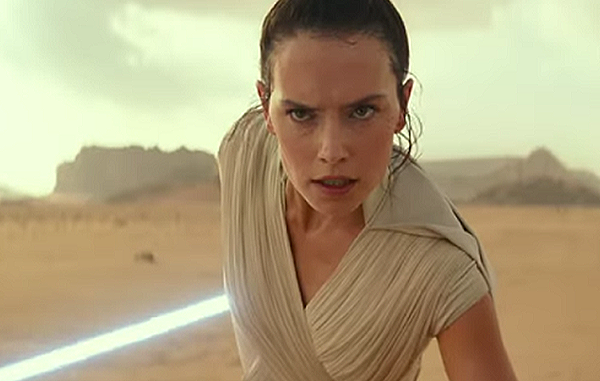 See the trailer: Star Wars: The Rise of Skywalker Trailer Revealed at Star Wars Celebration! And how can we not rejoice at seeing Leia embracing Rey. Carrie Fisher’s loss was a huge blow to the Star Wars universe. One was left feeling empty. The saga would never be the same. Just as the Sequel Trilogy desperately needed her guidance and care, she left us, her last act in a movie that many felt divided the fans and distorted our perception of the saga as a whole. Ah, but wait now, the Episode IX trailer has shown us another miracle of mending, and we are comforted by the sight of Leia herself, who still commands the power to bring the Resistance, and the fans together. And what of of the hauntingly familiar, ominous cackling the echoes through the trailer’s final frames? It is unmistakably Emperor Palpatine, which could portend of a great many things. Now here’s a biggie speculation on that. When Rey and gang step before that ocean, they look over the wreckage of the main dish of the second Death Star half-submerged in the distant waves. Is it? Perhaps a stretch, but it’s some sort of ominous structure or ruins. 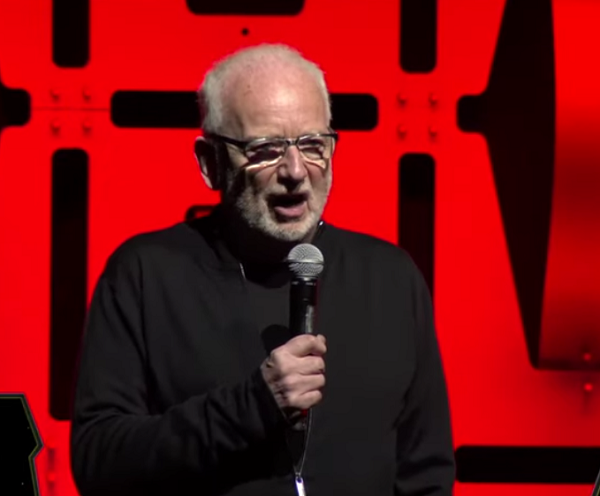 Could it be the Death Star 2 from where Palpatine’s ghostly voice is cackling from? Could the film center around a quest to rid the universe of his spirit, thus defeating the dark side forevermore? Hmm… Would wrap things up, at least for this generation’s story. 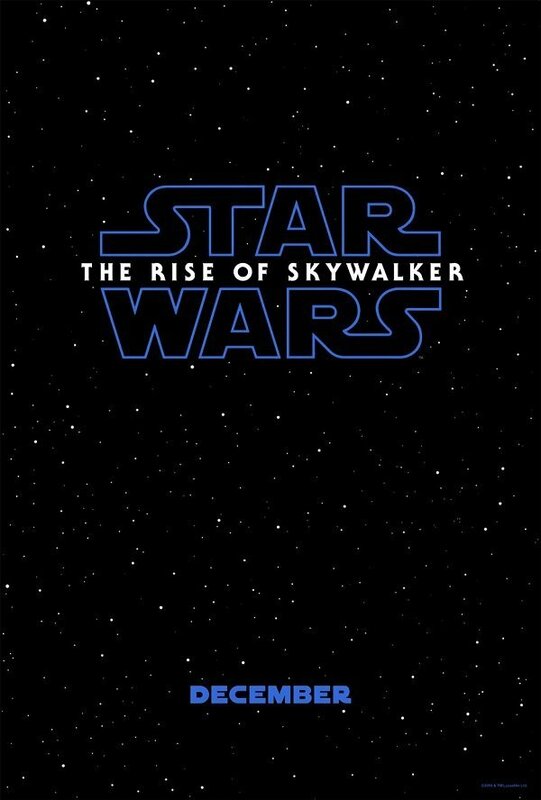 The Rise of Skywalker is upon us, a new chapter, an ending, and a movie with a hefty task – to bring the fans together, to finish a decades long story, and tie it all together, old characters and new legends. Its a solid teaser, and it has come none too soon.